Georgia is known for its beautiful, vast array of architectural styles. 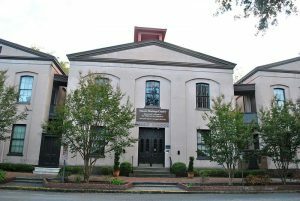 Savannah alone offers stunning examples of English Regency, Greek Revival, Gothic, Exotic Revival, and Steamboat Gothic architecture. 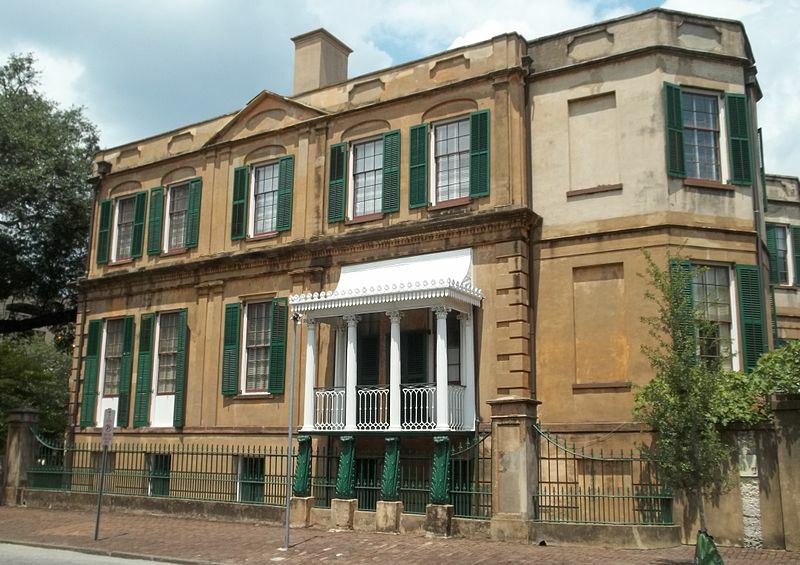 Look no further than the Owens-Thomas House, pictured above, for one of the best examples of English Regency in the United States. The home was designed by English architect William Jay and built in 1816. It is now a historical landmark and museum. The Massie Common School House is a notable example of Greek Revival architecture. The school was built in 1856 with two wings, connected by passageways, added in 1872 and 1886. The school is open for tours and hosts a variety of community events. 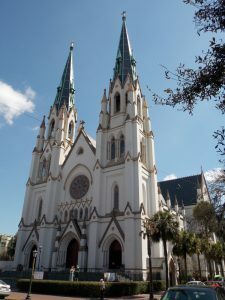 The Cathedral of St. John the Baptist is a stunning illustration of Gothic architecture. The church was finished in 1896 and nearly destroyed by a fire just two years later. Over the years, the church has been updated and restored numerous times, ensuring the building remains standing for years to come. The Student Center is considered an exotic revival building. Noteworthy features include keyhole arches, arabesque windows, carved and corbelled details, and Moorish-style domes. 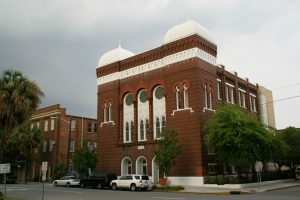 Designed in 1909 by Hyman Witcover, the building acted as a synagogue until 1970 and an Episcopal Church until 2002. It was reopened as the Savannah College for Art and Design Student Center in 2006. 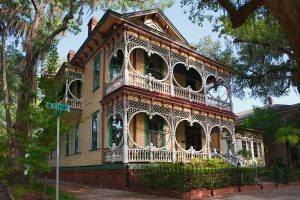 The Gingerbread House in Savannah’s historic district is considered one of the best examples of Steamboat Gothic Architecture. This home was built in 1899 in the classic ‘gingerbread style’, popular in the Black Forest of Germany. The home boasts a conservatory, three fireplaces, antique furnishings, and a waterfall. It is open for tours and events. GEORGIA ARCHITECTS, ARE YOU READY FOR YOUR JUNE 30TH RENEWAL? This entry was posted in Architecture and tagged Architecture Georgia, Georgia Renewal.